1. 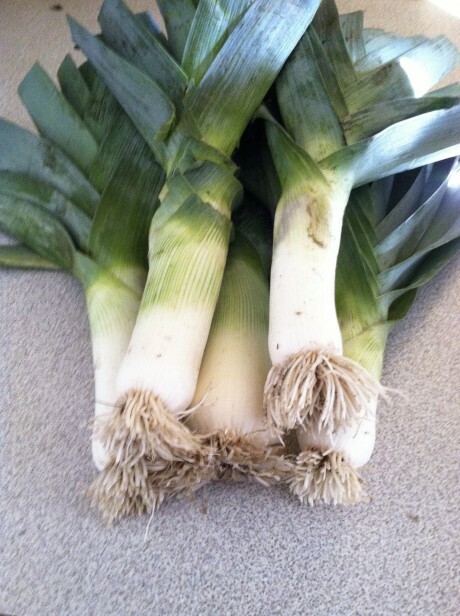 Clean the leeks well and slice in half lengthwise and again into half moons. Dice the potatoes and combine them in a soup pot with the leeks, broth and salt. 2. Bring to a boil and then reduce the heat and simmer for 15 minutes or until the potatoes are tender. 3. Puree in a blender or in the soup pot with a wand blender (best invention ever!). Return to the soup pot if you used the blender. 4. Warm the milk (don’t let it boil). 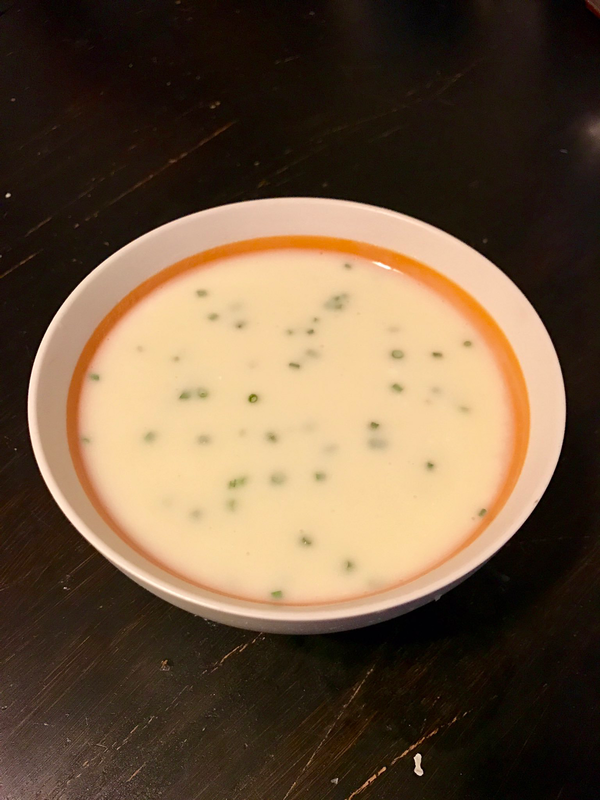 Stir the sour cream, warm milk and chopped chives into the soup. My mom uses a wand blender to incorporate the sour cream, milk and chives to make it super smooth. 5. Reheat soup gently. Don’t let it come to a boil. Stir frequently so that it doesn’t stick. Taste for seasoning and add more salt if needed. Enjoy!